Timed to coincide with Thanksgiving sale days in the United States, the travel company’s Cyber Sale will run for a week starting on Black Friday (23-30 November). Buy one get one free for travellers who book together and travel together on Asia Adventure Cruises departing between 15 December 2018 and 28 February 2019. 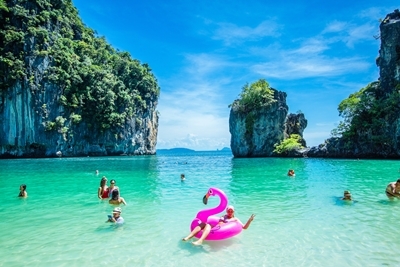 During the sale, a 15-day Cruising Thailand & Malaysia Southbound – Phuket to Penangcruise starts from $7675* for two guests in a twin share room (a saving of $7675) and an eight-day Cruising Thailand & Malaysia: Penang to Phuket itinerary from $3695* for two guests in a twin share room (a saving of $3695). Up to 30 per cent off sailing itineraries departing between 1 December 2018 and 30 April 2019, including Galapagos Adventure Cruising. During the sale, a 10-day Ultimate Galapagos: Central Islands (Daphne)cruise is priced from $4914* per person twin share (a saving of $2105) and a four-day Sail Ko Phi Phi to Phuket trip is priced from $697* per person twin share (a saving of $298). Up to 20 per cent off Intrepid Overland tours operated by Dragoman in Asia, Africa and South America including an 82-day Nepal & India Overlandtour from $9468* per person twin share (savings of $2367).